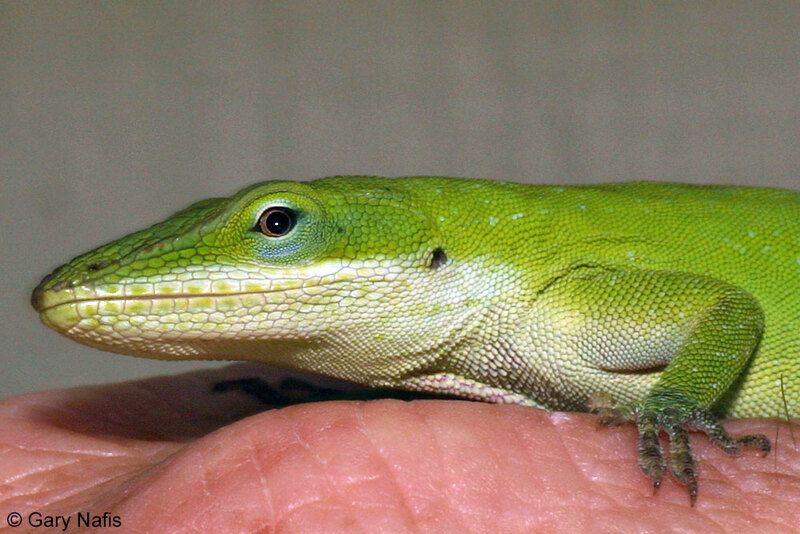 A male green anole in Chambers County Texas displays his pink dewlap. 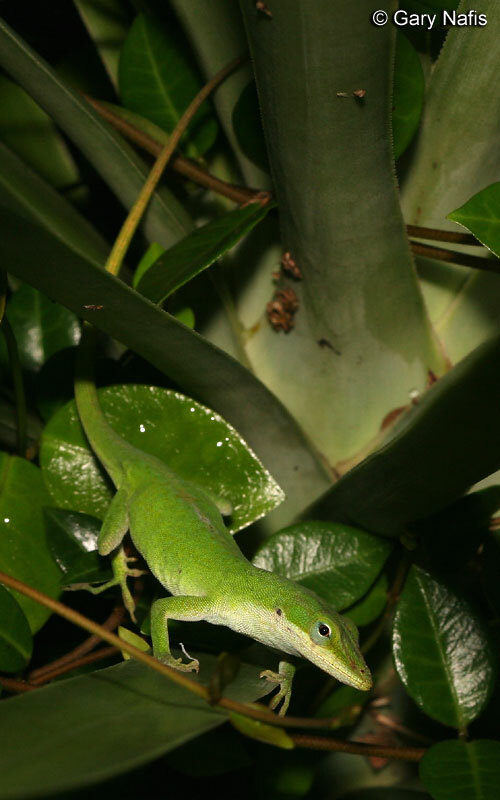 A male green anole in Chambers County Texas quickly changes his color from green to brown. 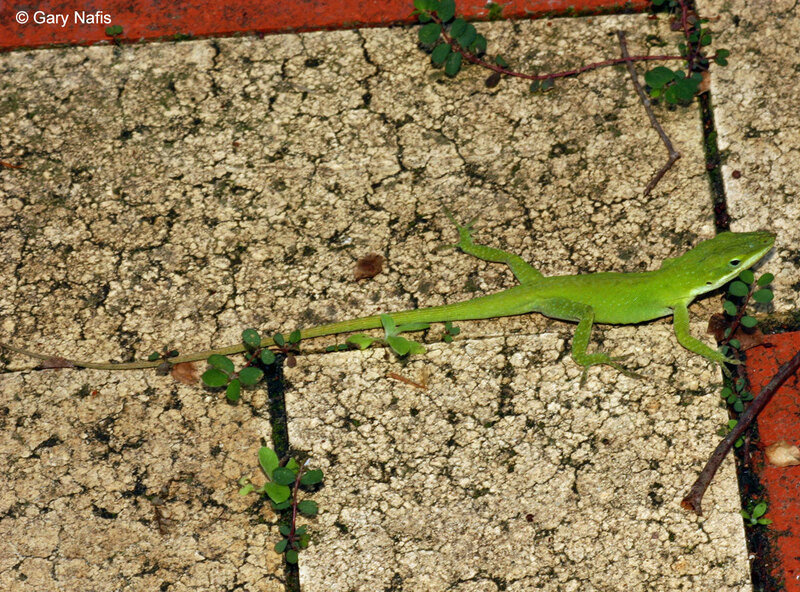 A light-phase green anole in Florida tries to catch a fly, but fails.